If the ‘luck of the Irish’ is on your side and you find yourself in the infamous city of Dublin, there will be countless things for you to do and see while you’re there. Not only is Dublin deeply rooted in their incredible history, culture and – well, booze – the people of Dublin are all such characters, as well. Whether they are sharing long-winded stories, singing local songs or telling the odd joke here and there to make you laugh, the locals never fail to put a smile on your face. And, because the city is located right on the east coast, day trips and excursions to the mountains or cliff sides are just a bus ride away, where you can witness some of the most vast and beautiful sceneries in all of Ireland. The Temple Bar is quite possibly one of the most iconic bars in all of Dublin, with tourists flocking from all over the world to have a drink inside its famous walls. Although the history of the bar dates back to the early 1300s, it still remains popular to this day due to its famous red exterior, its great location in the heart of the city, as well as being a huge part of Dublin’s central nightlife scene. 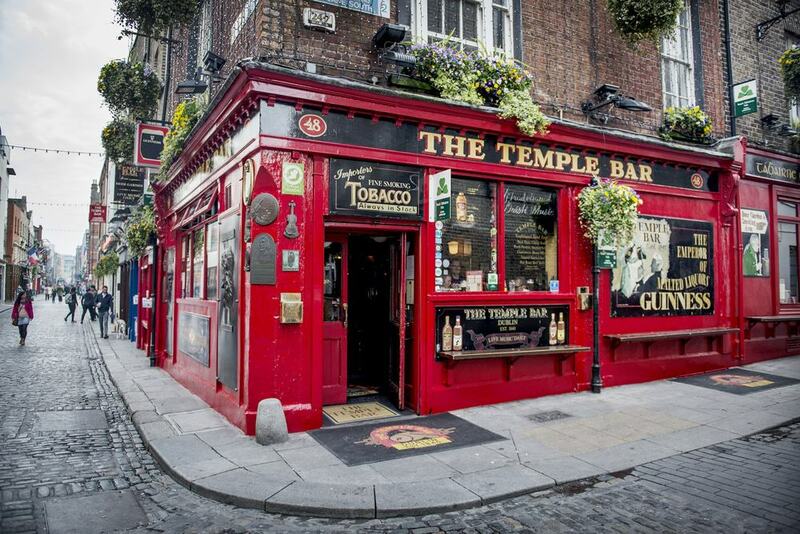 At present, The Temple Bar is the most popular bar frequented by young tourists – and even some locals alike – looking to have a glass (or two, or three) of strong Irish whiskey and enjoy a hell of a night. One of the most unique and beautiful bars in the city, The Church is not what its name may make it seem. In fact, The Church used to originally be called St. Mary’s church; however, it closed in 1964 and was eventually restored and converted into a popular bar and nightclub in 2007. On the main floor, you can find a magnificent island bar that almost spans the length of the church, complete with booths, tables and bar stools for guests and a small stage that plays live traditional Irish music from 7pm – 9pm on Sunday – Wednesday. Downstairs, you can find the nightclub – open every Friday & Saturday night from 10pm until 3am – with a resident DJ that plays all the latest popular music and Rn’B tracks. 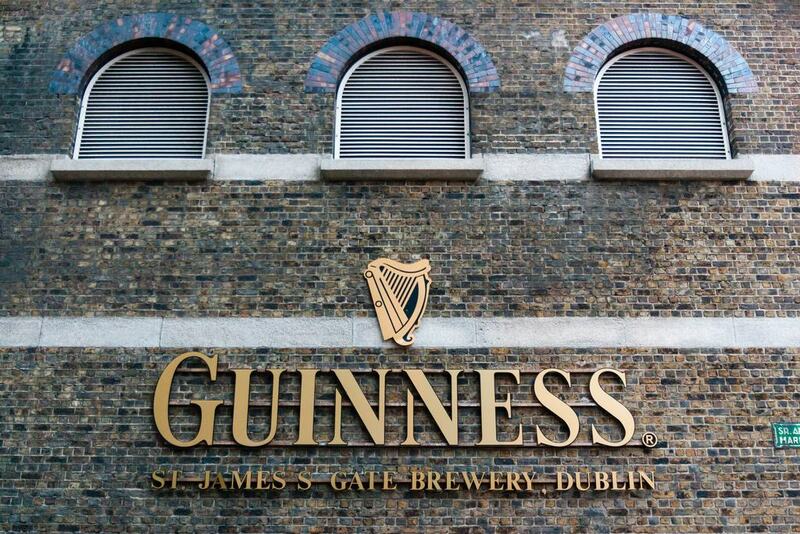 Located in the heart of St. James’ Gate Brewery, the Guinness Storehouse is one of the most popular tourist attractions in all of Ireland. In fact, the interior is designed to look exactly like a pint of Guinness itself and is known to be the largest pint in the world. A ticket to the Guinness factory (roughly €18) will take you on a tour through seven floors of Irish brewing history, where you will learn all about the Guinness family, as well as how the beloved stout beer is meticulously crafted to perfection. At the end of the tour, you will be dropped off at the Gravity Bar on the 7th floor, where you can enjoy a refreshing pint of Guinness with a 360 degree view of the Dublin skyline. 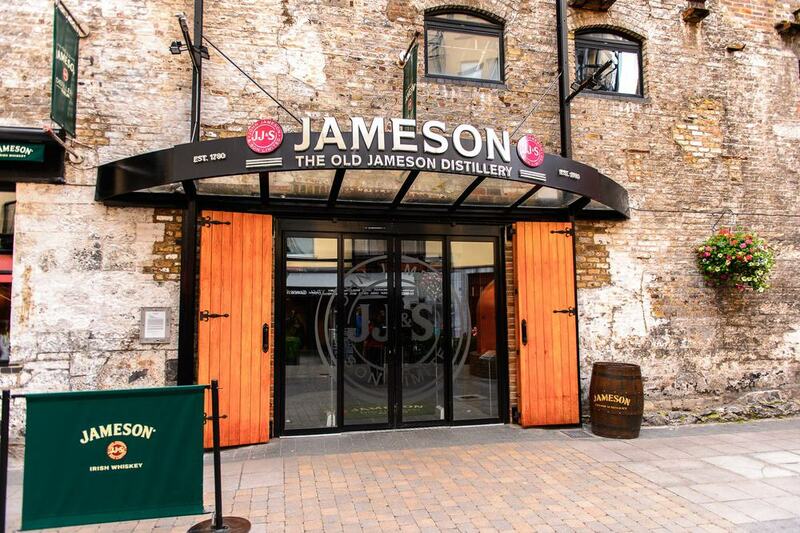 Another historical gem is the Old Jameson Distillery, located just off Smithfield Square. This location previously used to be the original site where Jameson whiskey was manufactured and distilled until it stopped production in the early 1970s. A tour of the old distillery will take you through the history and process of creating the refined whiskey, along with the unique opportunity to take part in a comparative whiskey-tasting experience. At the end of the tour, you will be given an exclusive Whiskey Taster Certificate to officially certify your knowledge in traditional Irish whiskey that you will be able to show off to your family and friends back home. 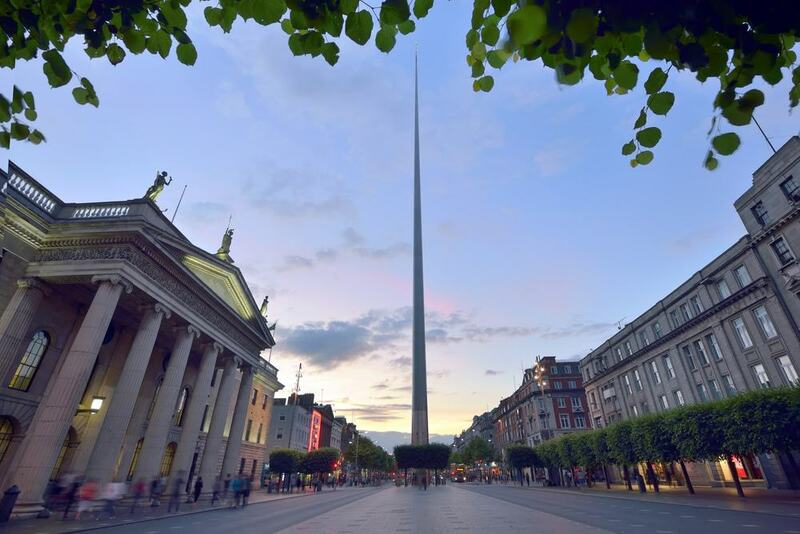 One of the easiest monuments to spot from afar, The Spire stands proudly in the center of O’Connell street towering approximately 120 meters above ground. This completely stainless-steel structure is about 3 meters in diameter at the base and 15 centimeters at its apex. On sunny days, you can notice its exterior being gently illuminated by the sun – lighting up the monument for all to see. The tip of the structure is also lit up by an external light source at nighttime in order to act as a beacon in the night sky. Known as the largest church in all of Ireland, St. Patrick’s Cathedral is actually one of two cathedrals that were built on Dublin soil. However, St. Patcrick’s Cathedral still remains the most popular of the two when it comes to tourists. 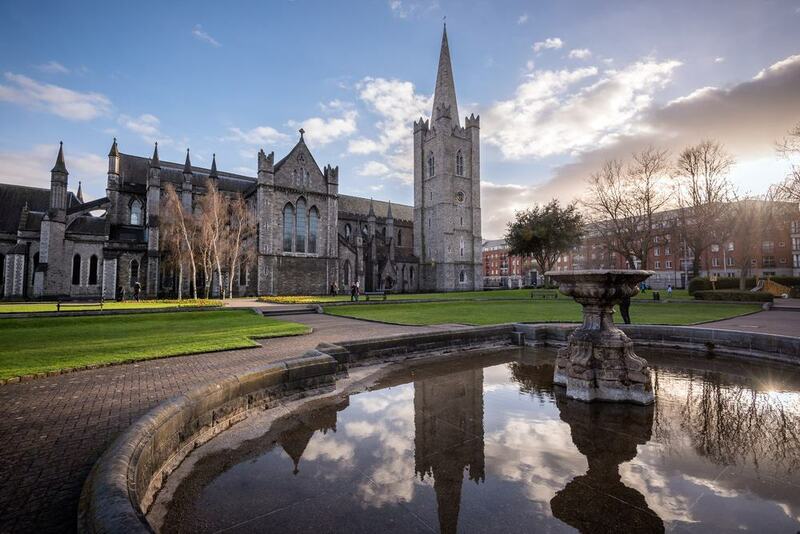 The cathedral was originally founded in 1191 and is rife with over 800 years of Irish history and culture. A brilliant architectural wonder, its beauty can be noticed both inside and out. It is also the final resting place of Jonathan Swift, author of Gulliver’s travels and Dean of the Cathedral. 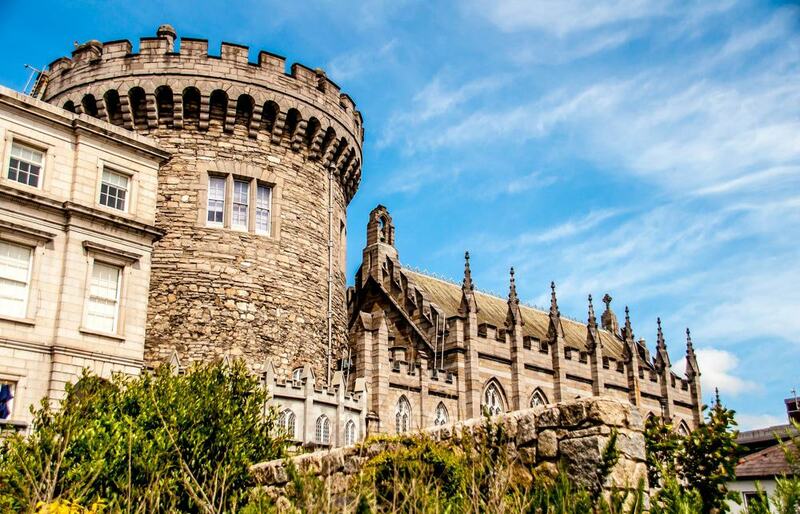 Take a trip back to prehistoric Dublin by visiting the famous Dublin Castle. With over 800 years of Irish memories encapsulated within its walls, this incredible structure has borne witness to some of the most pivotal events in all of the country’s history. Spanning an area of over 11 acres, the Castle stands proudly on the highest ridge in the locality and offers self-guided and guided tours of the grounds, including the Castle’s many rooms, gardens and museums such as the Chapel Royal, the Chester Beatty Library, the Garda Museum and the Revenue Museum. 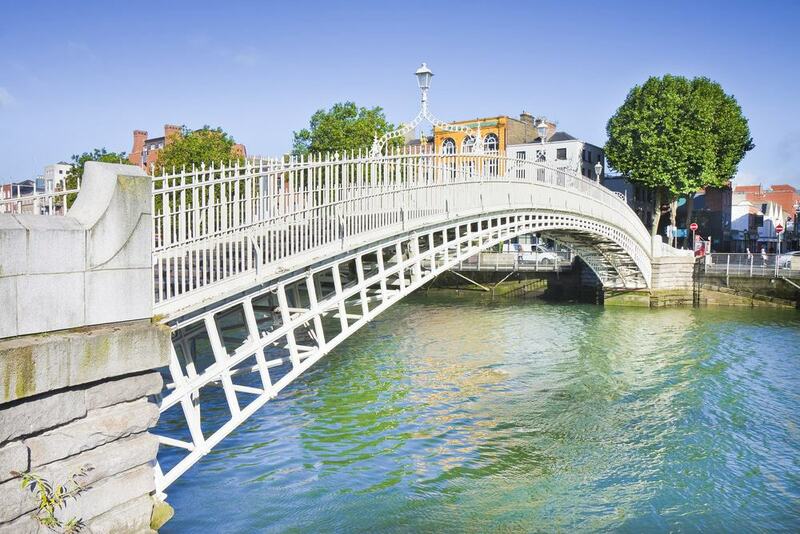 A strikingly unique white-picketed beauty, the Ha’penny Bridge is famously known as the first pedestrian bridge to span over the river Liffey. Its name was derived from the price pedestrians had to pay (a “halfpenny”) to cross the bridge back when it was built in 1816. Today, it has become one of the main “monuments” or structures that identify Dublin – appearing on postcards, tourism brochures, books and memorabilia. 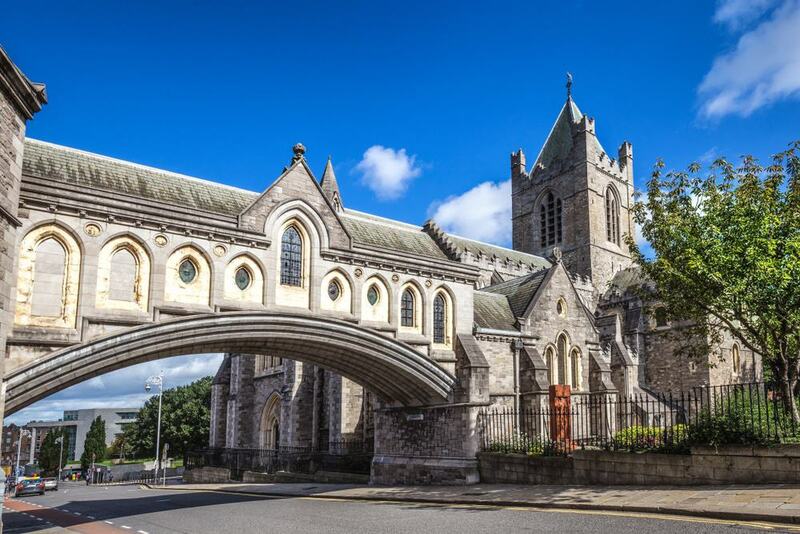 The second of Dublin’s medieval cathedrals, Christ Church Cathedral, is yet another of Dublin’s architectural wonders. More formally known as The Cathedral of the Holy Trinity, this fully-operational church is the cathedral of the United Dioceses of Dublin and Glendalough. Although it is open to tourists who wish to marvel at its Romanesque interiors, the staff of the cathedral do charge admission and ticketing fees, as the building receives no support from the state. However, the fee is definitely worth the visit and will help contribute to maintaining this beautiful piece of Irish history. 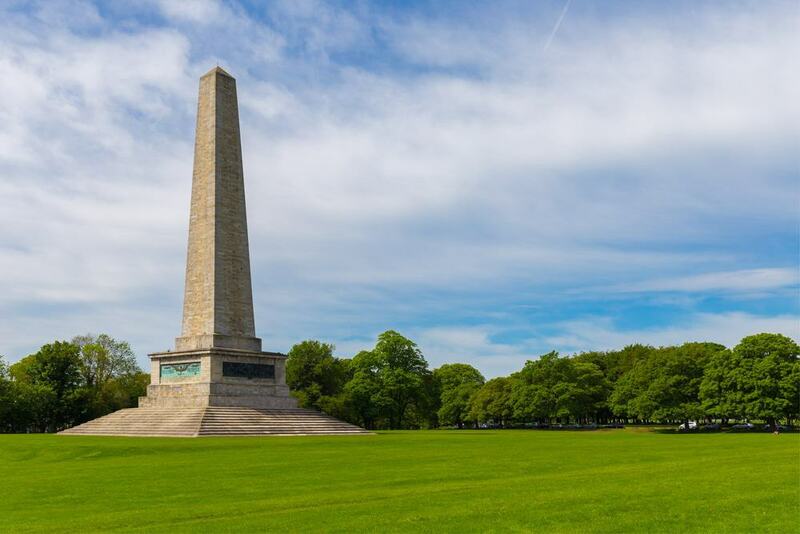 A humongous walled park (about 1,700 acres) that lies just about 2 miles from downtown Dublin, Phoenix Park is more than just your ordinary park. 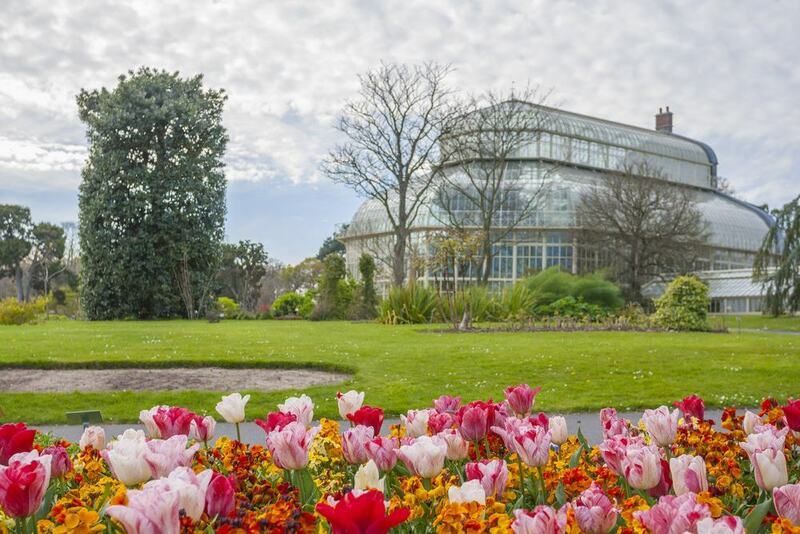 In fact, aside from the long stretches of green and multitude of incredible trees and plants, it is also home to the Dublin Zoo, a sports field, the Wellington Monument, and both the Presidential and US Ambassador’s Residences. With so much to do and see, you can easily spend the entire day relaxing, sightseeing or simply roaming the grounds. 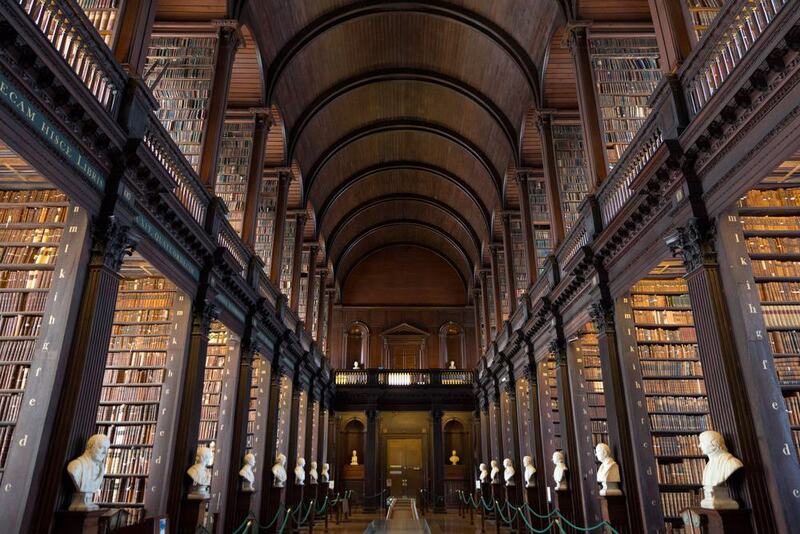 An incredible architectural wonder, and a room most bibliophiles would only dream of finding themselves in, the Trinity College Library is the largest library in all of Ireland. It is also home to the famous Book of Kells – an ornate, beautifully-illuminated manuscript containing all of the four Gospels of the New Testament that’s over 1000 years old. Its most famous section, known as The Long Room, has been known to resemble the Jedi Archives in Star Wars. Unfortunately, the main library is only open to staff, graduates and students of the university, but that doesn’t stop tourists from taking a gander at the Old Library that’s open to visitors and located within its quarters. Aside from the stout beer and whiskey, one of the finest (and most famous) goods that come out of Ireland is their wool and mohair products made from the local sheep scattered around the hills and valleys of Ireland. 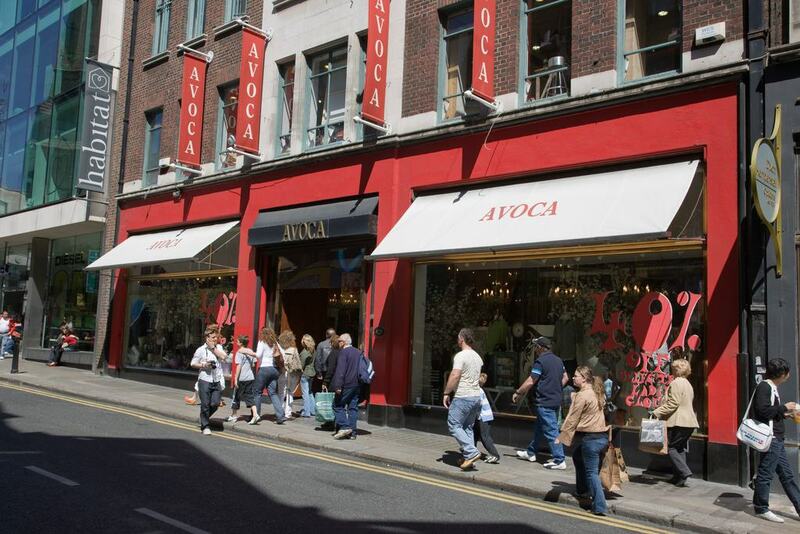 Although the actual wool mill is located just outside of Dublin in the small town of Avoca, the company also sells their wool at various Avoca shops around Dublin. For those who can’t get out of the city, stop by the shop near the Dublin City Center to purchase some original handwoven luxurious scarves, sweaters or blankets made out of local Irish mohair. Make sure you go upstairs to visit their café, where you can enjoy a light lunch, tea or dessert of local Irish cuisine. 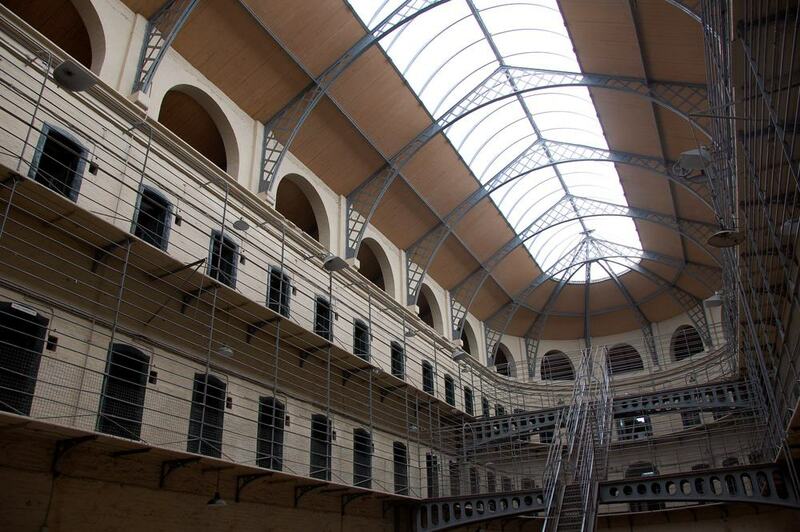 An absolute must-see destination for all history lovers, Kilmainham Gaol is an abandoned prison that offers guided tours of its restored quarters. With a cheap ticket fee of €4 per person, each tour includes a 45-50 minute tour of the facilities where your knowledgeable guide will take you through the history of the jail, detailing the extremely poor treatment of inmates during that time, along with countless other interesting facts about the politics and restoration of the prison. You will leave this tour with a much broader understanding of this devastating time in Irish history. 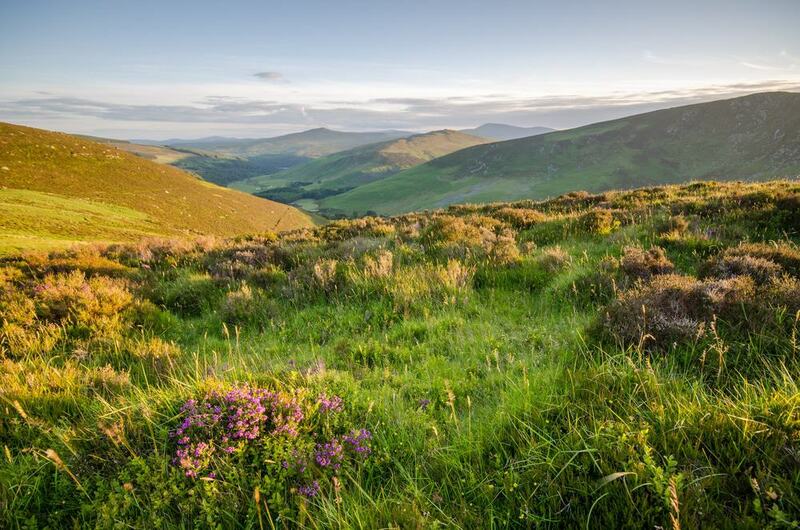 One of the best day trips out of the city – and a must-see during your trip to Dublin – is a tour of Wicklow Mountains. Famously known for the filming location of the popular romance film, P.S. I Love You, this unbelievably beautiful landscape looks even more magnificent in person than it does on-screen. A basic tour costs around €22 which covers transportation to and from Dublin, along with a brief history of the region, a traditional Irish lunch and free time to roam and explore the land’s natural beauty. Make sure to bring your camera. 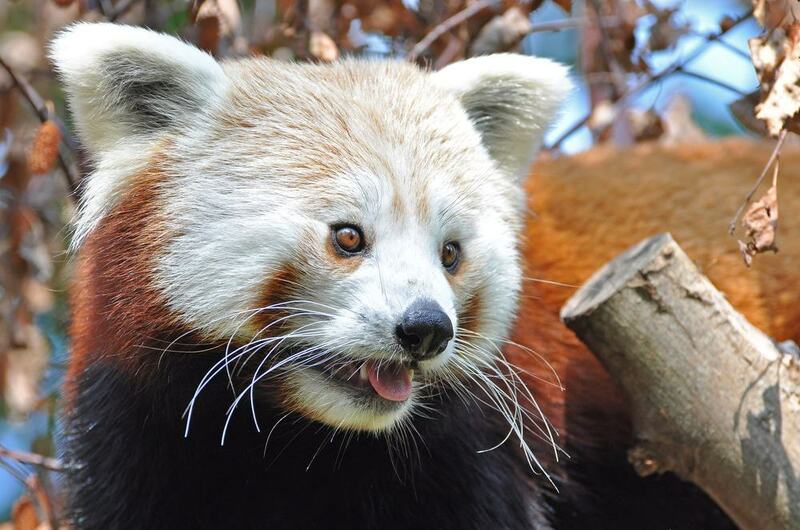 Located within Phoenix Park, the Dublin Zoo is an excellent addition to your day. With a huge variety of animals to see and a very well laid-out map, this excursion is great for individuals or groups of all ages. Not only are the animals at the zoo incredibly cared-for, but they all have spacious habitats for them to roam and play, making each encounter as close to the real thing as possible. Be sure to visit the Meerkat Café, where you can look at the meerkats up close while you are enjoying a drink or bite to eat! 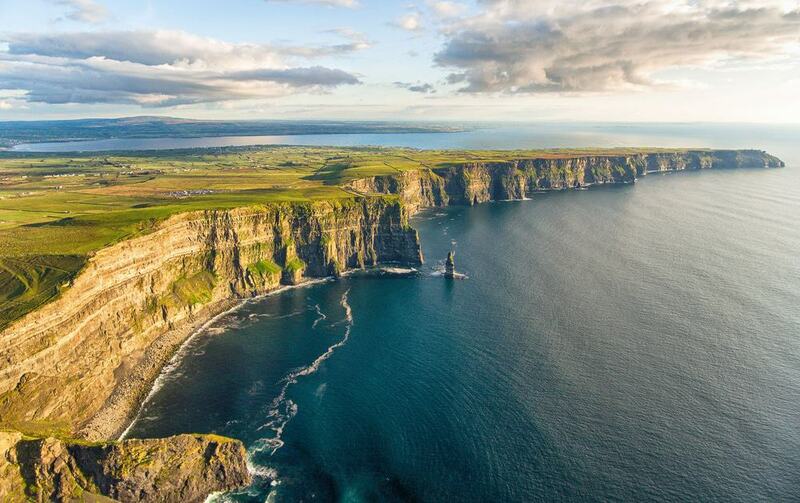 Another spectacular trip that awaits you just beyond the city is a tour of the marvelous Cliffs of Moher. These natural wonders have also been used for various film shoots, such as Harry Potter and the Half Blood Prince and The Princess Bride, and are an absolute breathtaking experience to view in person. You can visit any tourism center in Dublin to arrange a day tour to the Cliffs of Moher, which will cost anywhere between €15 to €40. A must-see. 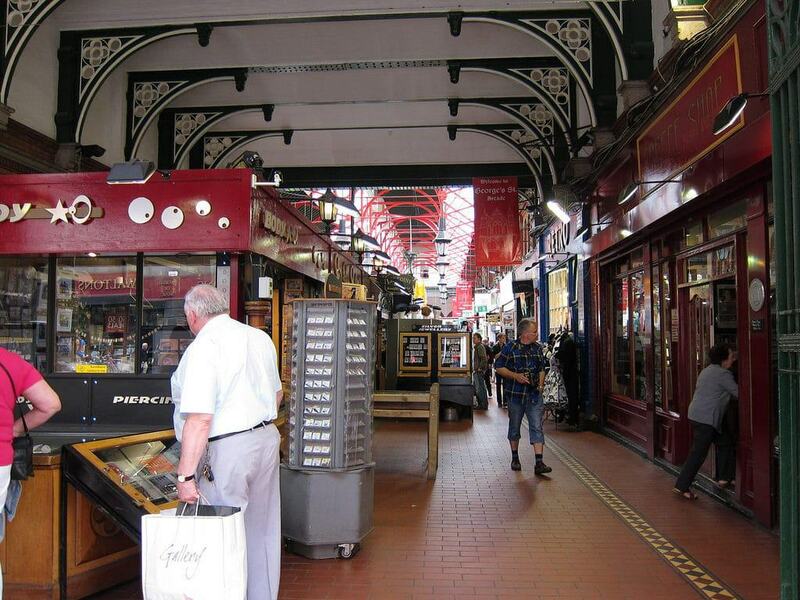 Although you can probably find a flea market happening on almost any corner and sidestreet in Dublin (especially on the weekends), the Dublin Flea Market is a huge indoor flea market that happens on the last Sunday of every month and has become one of the most beloved in Dublin. With over 60+ stalls selling everything from reusable household items to baby supplies to furniture to old clothes, there’s a chance you’ll find exactly what you’re looking for here. 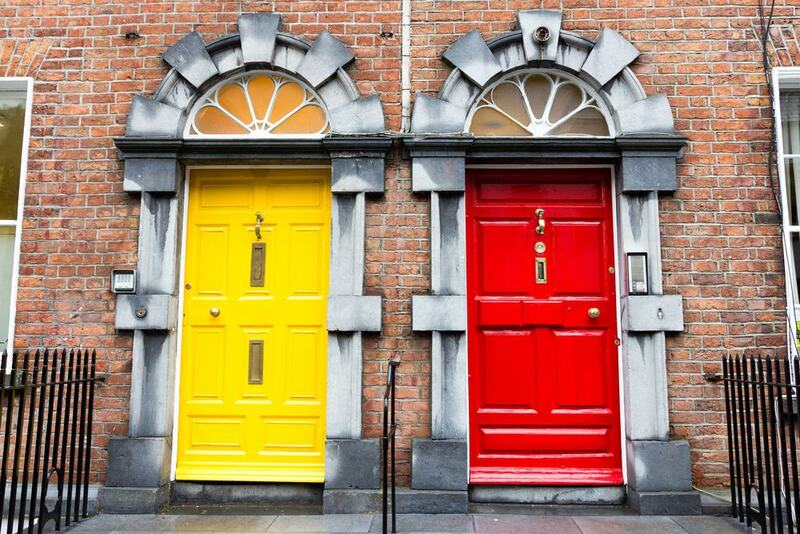 Since most of the housing complexes are built to look the same (and each individual house has little room in between each other), most home owners will paint their door an original color in order to set them apart from their neighbor’s house. Although it was previously used to identify the home, it has now become a significant characteristic of Dublin itself. Photos of these colorful, unique-looking doors can be found on postcards and calendars in souvenir shops around the city. 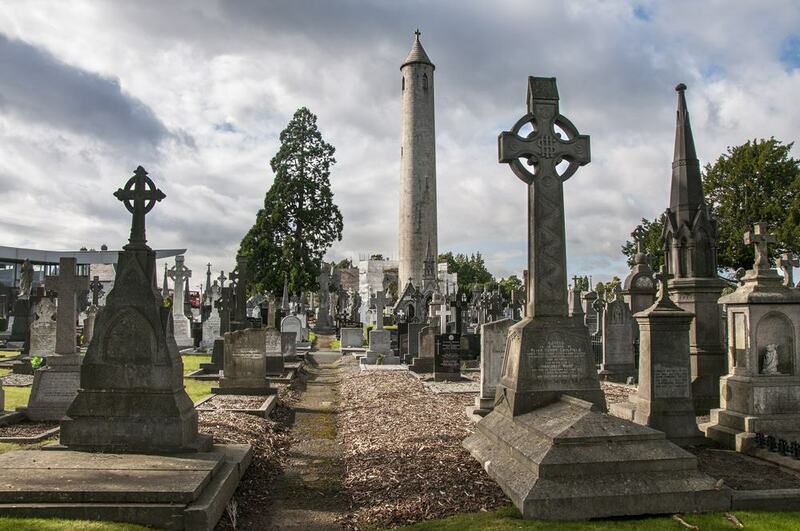 Rated #1 on TripAdvisor’s list for Top Things to Do in Dublin, the Glasnevin Cemetery Museum is an atypical, but thoroughly interesting way to take in some Irish history. During your tour, you’ll get to wander through some of the various graveyards of famous Irish political figures, poets, writers and other people of interest, along with hearing some very informative commentary about each person, and the political history of Ireland. Tickets range from €6 to €25, depending on the type of package. 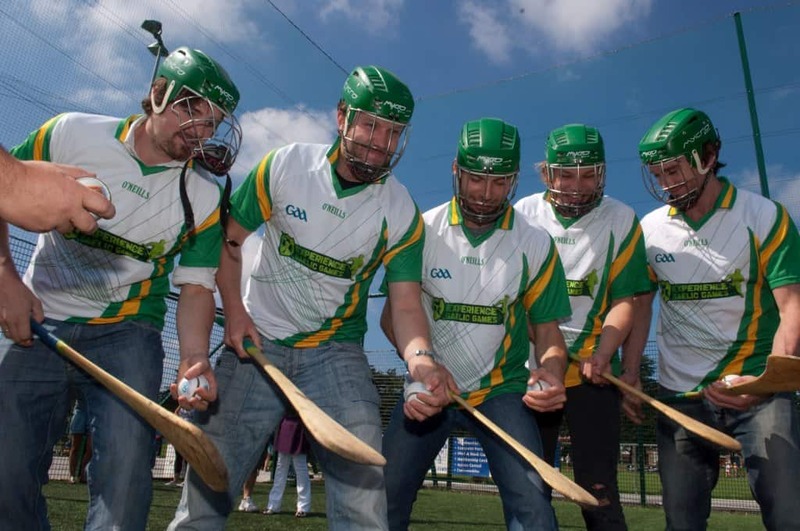 Another incredibly unique and fun way to experience the true Irish culture and heritage is to take part in Experience Gaelic Games’ traditional Irish recreational sports lessons. Located just 10 minutes away from Dublin City Center, Experience Gaelic Games gives you the opportunity to learn some of Ireland’s most famous sporting games – such as the world-famous stick and ball field sport, “hurling” or Gaelic Football (a combination of soccer, rugby, basketball all rolled into one), and many more! Great for groups, this experience is incredibly team-building and is a skill you can take home with you for life. 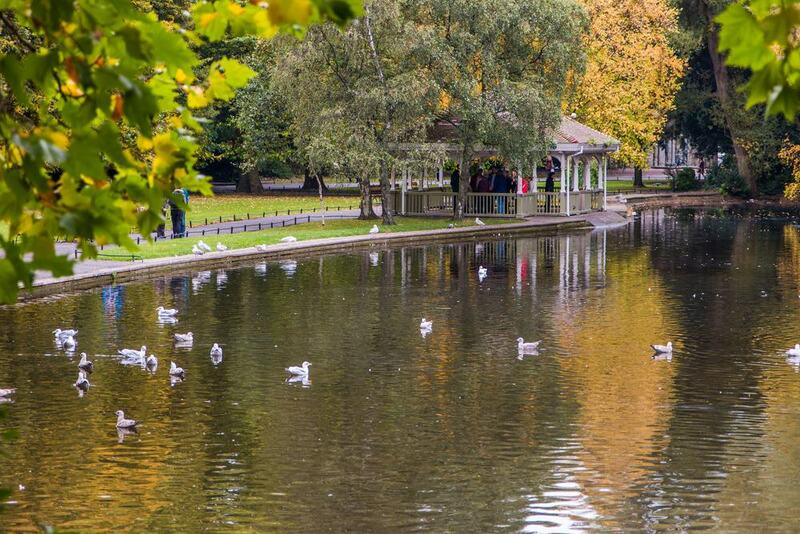 Another popular Dublin park to relax in is St. Stephen’s Green, filled with lush green grass, a variety of plants and flowers and some marvelous bodies of water. If that’s not enough, there are even some monuments scattered around for you to see and many paths for you to walk, bike or jog. Bring a book, a packed lunch, or stop at a café before heading to St. Stephen’s Green to enjoy a brisk, beautiful day at the park. The National Botanic Gardens is such great place to visit – both with families or as a solo traveler. With so many plants, flowers and other special things to see, you can easily spend an entire day getting lost roaming throughout these lush gardens. Make sure to bring your camera, as some of the most beautiful parts of your visit includes a sculpture garden, a vegetable garden designed to look like an old castle or the glass houses. Entry is completely free to visitors, but a guided tour is €5. 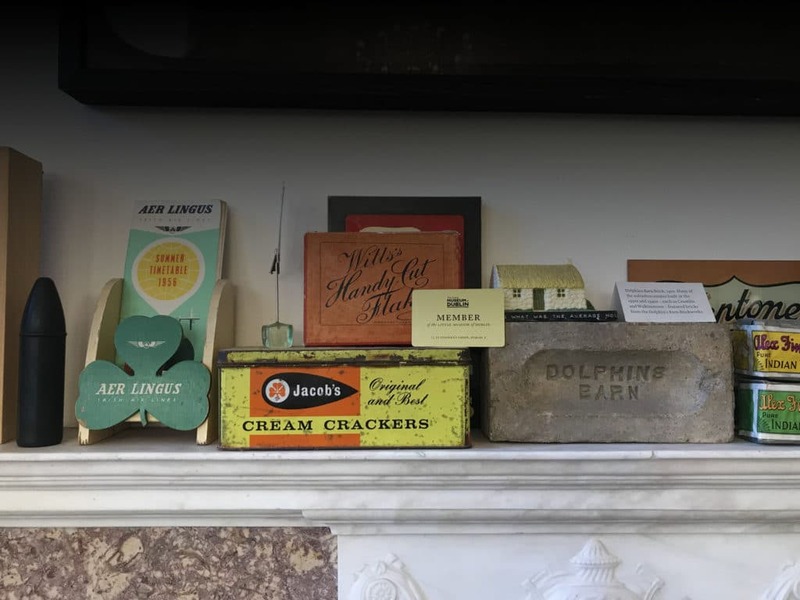 The Little Museum of Dublin is the perfect way to get a little bit of all types of history mashed up into one excellent and informative tour. As most of the artifacts and ephemera are donated by people in Dublin, every object in the museum has its own unique story. Admission to the museum costs €7, with exhibitions ranging from films to music to politics, history and culture. Although the museum may be ‘little’, it is definitely packed with enough knowledge and history to stand up to one of the bigger museums in the city. 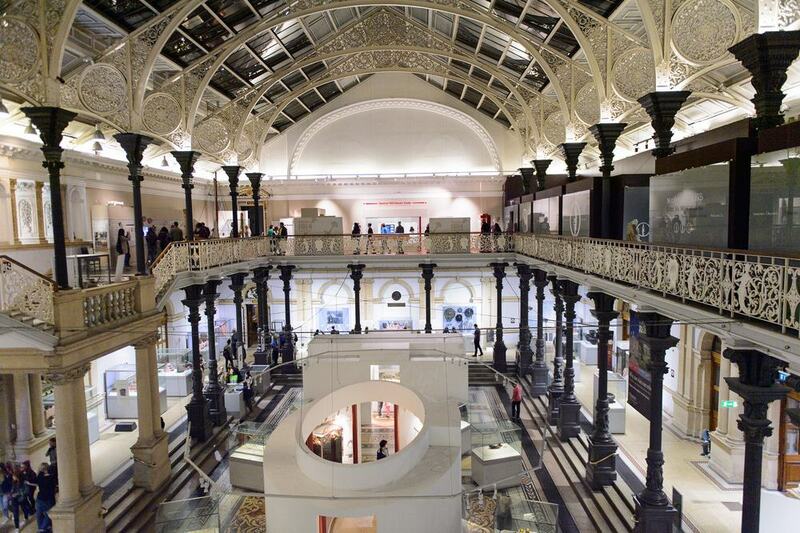 One of the best free museums in all of Dublin is definitely the National Museum of Ireland. Some of the most notable exhibits in the museum include the Viking exhibit, the exquisite gold artifact display or the remarkable collection of “bog men” – bodies found and recovered from bogs all over Ireland. Each body comes with a story that will give you spectacular insight into the lives of these men who once lived in the country and have now become a permanent part of Irish history. 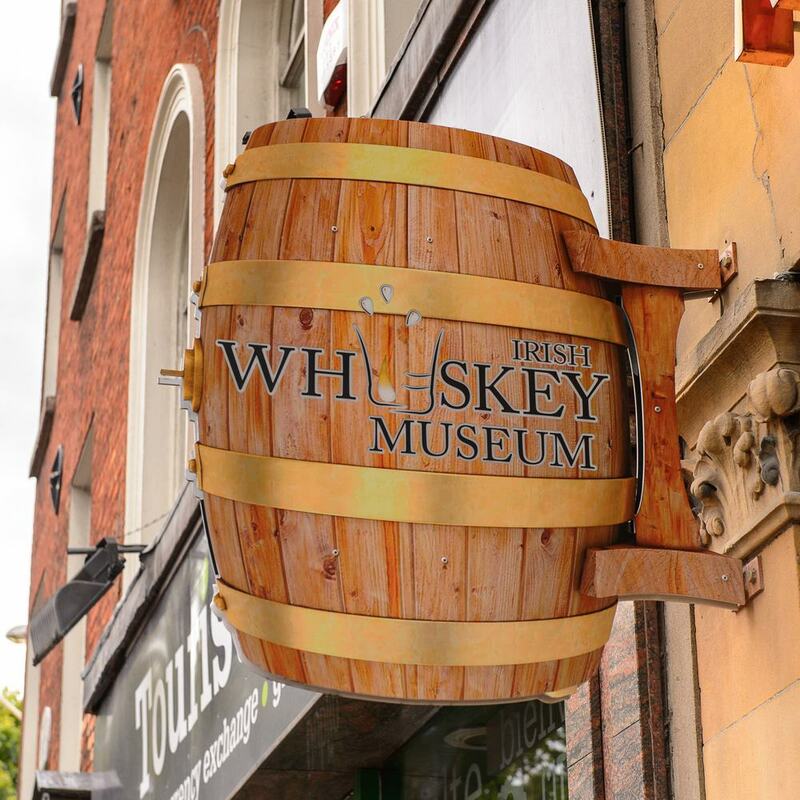 A great combination of Ireland’s best traits – history and booze – the Irish Whiskey Museum has everything you could possibly want in one great place. 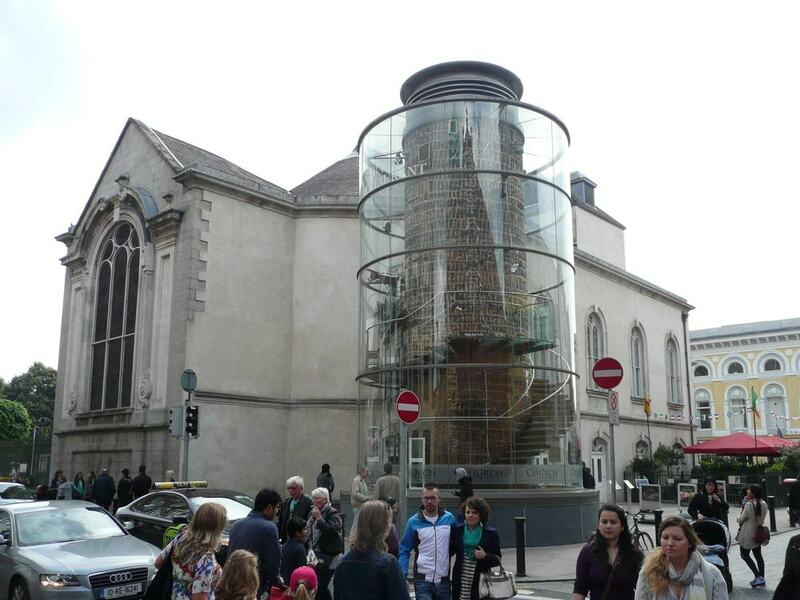 Located in the popular Grafton street area, the museum tour gives you a detailed history of all types of whiskey (not just Jameson). At the end of the tour, you get to taste three unique types of whiskey as celebration. Plus, if you purchase the VIP package, you get an exclusive 4th whiskey and a unique shot class to take home with you.